When my son was looking for work, I told him to think of every conversation as a mini job interview. The person you meet at a coffee shop or trade show might be looking for someone with his skills and enthusiasm. And while he won’t walking around with copies of his resume in his pocket, he could have it at his fingertips with a new app called Resume Creator Pro. 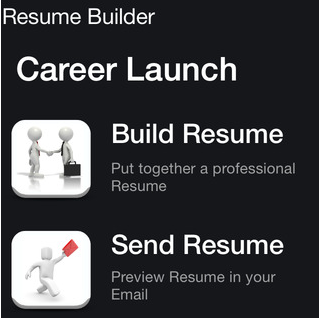 The app lets you quickly and easily build and store a personal resume using an iPhone or iPad. Users walk through the resume basics adding their contact information, career goals, skills, work experience and references. The app organizes the details into a mobile-friendly format. You can also add a cover letter that can be quickly revised to match a targeted job or hiring manager. When that chance encounter includes an exchange of business cards, Resume Creator Pro lets you quickly fire off a letter and resume in either text or PDF format. The app is currently available in the iTunes App Store at the promotional price of .99 cents.